It’s a nice atmosphere to learn in and you get to go on lots of trips to the industry. I am studying the Level 3 Extended Diploma in Agriculture. On this course, we learn all about machinery, livestock and crops. We get to go on lots of industry visits rather than learning everything in the classroom. I particularly liked the machinery practicals and getting to know new technologies. I also liked learning about animal husbandry. 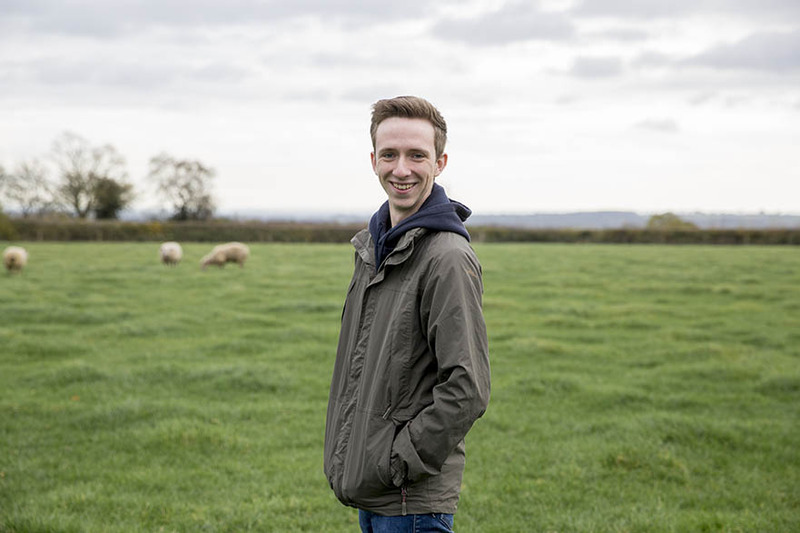 I chose this course as I have always had an interest in farming and a love for being outdoors. It has a nice atmosphere to learn in and you get to go on lots of trips. The tutors are really helpful. They always kept the lessons varied and if you were struggling with an assignment, they would support you to help you understand. My placement was at Hall Farm, which is an all-arable farm who has diversified into a producer of wild bird supplies. I was given a variety of tasks from helping with the harvest to bagging up seed. It only took a couple of weeks to settle in as everyone was quite shy but now we are one big group of friends. After the course, I would like to go straight out to work so I can gain further experience so I can one day become a farm manager.